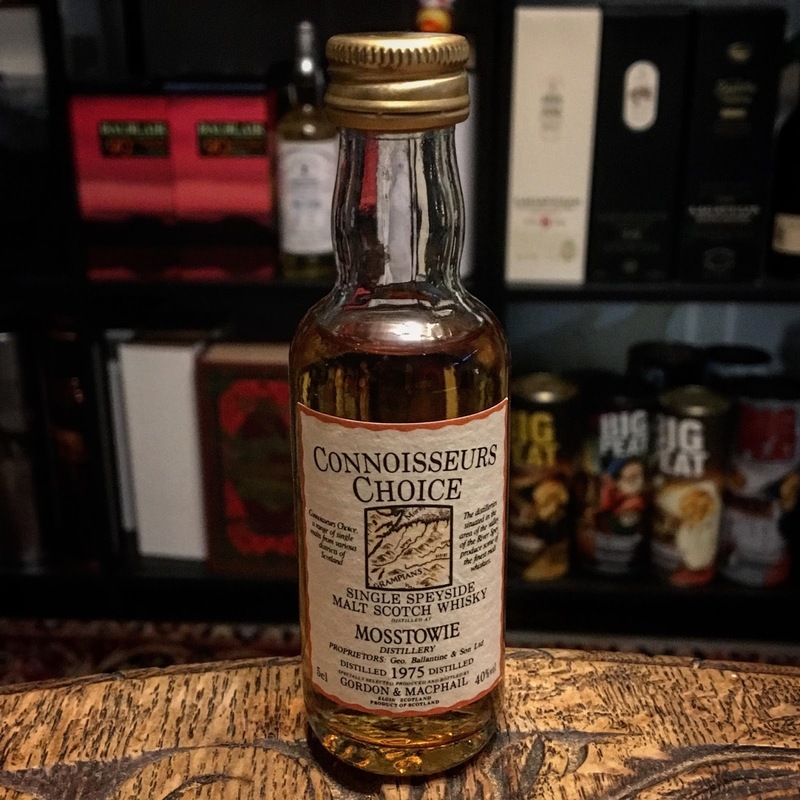 This is a 1975 vintage miniature from Gordon & MacPhail’s “Connoisseurs Choice” series. Oak and strawberry jam in the smell. Toffee and spices. Vanilla and sweet raisins. Some fruity sweetness as well. Yes, a lot of things going on here. A light alcohol burn at first. Loads of oak and oak spices in the taste. Overripe plums and burned caramel. The oak is also dominating in the finish. Which is warm and long by the way. Lovely stuff with great influence from the casks. Very flavorful considering the low ABV. I miss a bit of complexity and the oak is a bit too dominant to score a very high rating. I will give this 86/100 (21/22/22/21).